Do you sometimes get to the end of a working week and wonder where the time has gone and what you’ve actually achieved? So many of us spend our time on a work treadmill rushing from one thing to the next without pause for thought on what’s actually happening. We may dwell on what went before or worry about what is yet to come. The result is that we miss out on the life that is happening right now. If you want to experience a greater sense of presence so you can enjoy each moment more, then read on. And, not only does being more mindful help you live in the now, but it has positive knock-on effects for your work too. Mindfulness is about bringing your fullness of attention to what you do. It has its origins in meditation practices. One of the original pioneers of mindfulness is Jon Kabat-Zinn who combined Buddhist philosophies with science to help people cope with stress, anxiety, pain, and illness. His Mindfulness-Based Stress Reduction (MBSR) program is the most widely taught mindfulness approach and is offered by health organisations as well as now being included as a stress-management technique in corporate wellbeing programs. Mindfulness cultivates a greater awareness of the mind and body allowing you to better understand how unconscious thoughts, feeling and behaviours can affect your emotional, physical and spiritual health. You recognise, slow down or stop automatic and habitual reactions, creating the mental space to choose a different behaviour or course of action. This extra space enables you to respond more effectively to complex or difficult situations. You see situations more clearly by being less emotionally attached. Often it’s in the quiet moments when creativity flourishes. 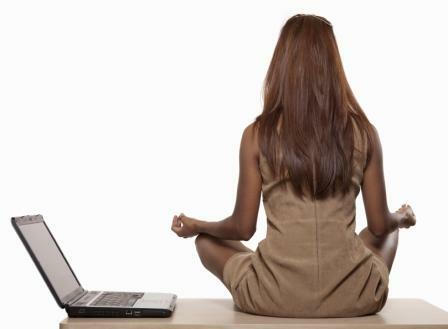 You achieve a better sense of balance at work and home, recognising what’s most important to focus your energy on. From a physical perspective, mindfulness lowers blood pressure and reduces the stress hormone, cortisol. Follow a mindfulness practice to manage stress, improve creativity, and enhance focus, concentration, and energy levels. Mindfulness involves a formal practice and an informal practice. The formal practice involves sitting meditation or mindful movement practices like walking meditation, yoga or tai chi. Informal practice is a way of life in which we bring the elements of formal practice into what we do as we go through our daily life. To get started, look for a local Mindfulness course near you or find one that runs online. Discover more about Mindfulness in my regular guest blog ‘Mind the Gap’ at AngloInfo London.